This Green Sea Glass Jar is a delicate glass jar tinted in soft, eye-pleasing color. Finished with crackle distressing along the body and topped with a lift-up lid in stainless steel. 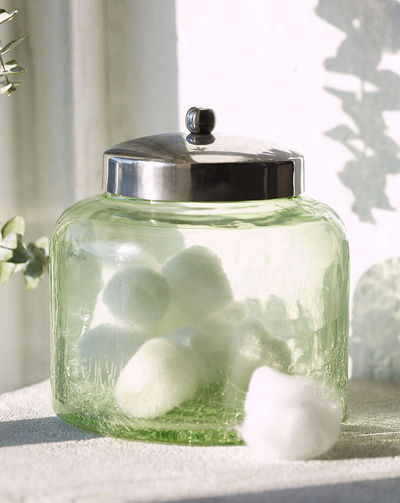 The perfect accessory for the kitchen or bath – pack it with cotton balls & swabs, candy, coins – anything you like. $16. Buy here.